Prepaid cards. Using Visa / MasterCard prepaid cards for online casinos deposits. CasinoBonusNews → Casino banking → "Prepaid debit cards. Using Visa / MasterCard prepaid cards for online casinos deposits." 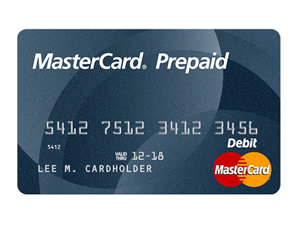 Prepaid debit cards. Using Visa / MasterCard prepaid cards for online casinos deposits. A prepaid card, also known as prepaid debit cards, are a cross between a credit card and a phone card. People add money to the card which they can then spend from like a credit card. When the card’s balance reaches zero the owner can choose to reload money onto the card or simply throw it away. This is an excellent way for those who don’t have bank accounts to keep their money more secure than carrying around a wad of cash. Prepaid cards are also gaining in popularity among people who want to make an online transaction without giving out any of their bank information or personal financial info. This makes it a very popular option among gamblers who frequent many different online casinos but who don’t want their credit card numbers or checking account routing numbers floating around randomly in cyberspace. They are also popular for big spenders because unlike buying on credit they have no late fees or percentage rates and don’t cost anything to use. Prepaid cards can be purchased in a number of places. Most credit card companies have their own version of gift cards that can be bought through their Web sites, like Visa’s and MasterCard’s prepaid cards. They can also be found in real-life stores scattered among the other types of gift cards to restaurants, online gaming sites or phone cards. Look around at your grocery store, convince store or gas station and you are sure to soon find a prepaid card from a recognizable credit card company. These types of cards, the ones with a physical presence, are sometimes called ATM cards since they can potentially be used at any cash machine. Another type of prepaid card exists called a virtual card. These are as easy to use and as real as any other prepaid card – except there is no actual card. Some of these can be a one-time-use type of card and can be loaded through a Web site or obtained through your bank. People who add money to these “cards” get a credit card-like number to be entered at any Web site, but after using it the number is retired and useless to anyone who tries to hack into it. The other type of virtual card is similar to an e-wallet account. Here a person will sign up for an account, add money to the card and then be able to make purchases online just as if they are entering a credit card number. Some of the best places to look for prepaid debit cards include Web sites like NetSpend where people can get a personalized Visa or MasterCard, or Green Dot which also includes Visa or MasterCard backed cards with the added bonus of being able to check the balance through text or mobile apps. One of the most popular prepaid cards is the Visa-backed Wired Plastic. It helps that this account features a reward points program similar to certain credit cards. For every 200 points earned, the card holder has $1 toward the purchase of a discounted prepaid phone card from carriers like TracPhone and AT&T. This is a handy solution for anyone looking for a deal on all their prepaid accounts. *Make your first deposit with the bonus codee. *Register as a new player and get your bonus. Union Jack: Are they still working? Union Jack: Is this coupon still works? CasinoBonusNews.net 2013. All rights reserved .